To create innovative and sustainable automotive floor products that protect & enhance car interiors. To become the global leader in sustainable automotive floor protection & design by 2023 by reducing our environmental impact, innovating products & processes and expanding into new markets. RACEMARK began in 1964 founded by Bob Bailey, Porsche of America team world class race car driver. Teammate, Mark Donohue partnered with Bob joining RACEMARK in 1972. RACEMARK was founded on the principals of engineering excellence into every product we make. It is our philosophy to design and engineer the most innovative interior trim parts to meet and exceed the styling expectations of our international OEM customers. In 1973, we were the first company in the world in our industry to create a custom-fit carpet car mat. RACEMARK is recognized as the reference point for innovative and stylish car mats in the automotive market. High material standards, competitive manufacturing processes and our dedication to quality result in optimized product life cycle cost. Our capabilities include high volume production as well as premium and luxury designs for customized products supporting a wide range of vehicle segments. Our flexibility ultimately results in individual solutions as specified by the customer or consumer. RACEMARK International includes manufacturing plants located in the United States, Germany, Hungary and Switzerland. With our strong presence in North America and Europe we follow international market trends of the highest quality brands in the automotive and textile industries. This enables us to introduce attractive, functional and safe products. We deliver features and product enhancements to always achieve “best in class” parts for the global automotive industry. We have grown globally expanding to supply just in time delivery to our customer’s assembly plants. This enables us to provide the shortest lead-times possible at a very competitive price. Our plants are dedicated to the production of the finest automobile floor mats in the world, supplying the premier brands in the automotive industry. You will find our products at your feet in the most luxurious automobiles in the world. 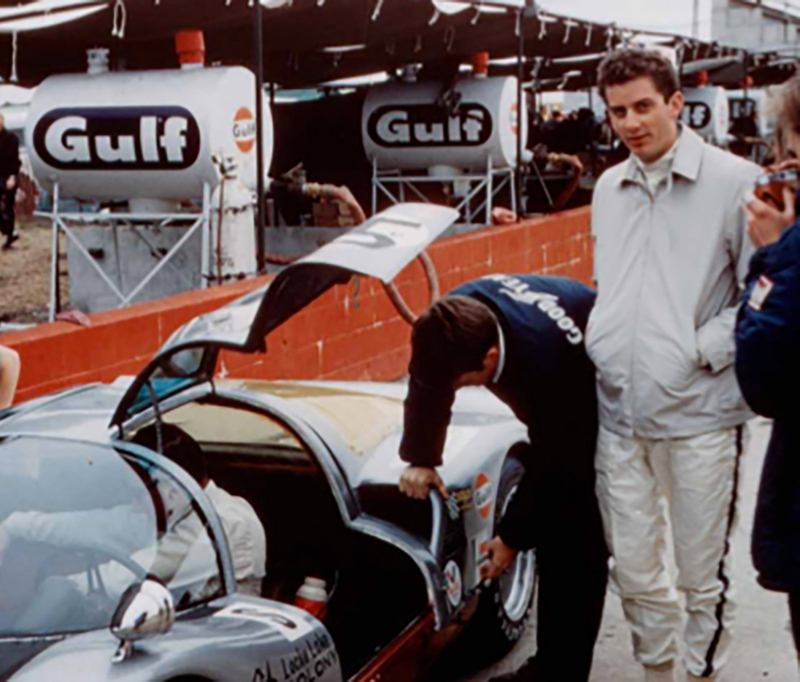 1970 Sebring 12-Hour Grand Prix – Our Founder, Bob Bailey placed 2nd in Class racing for Porsche Team of America alongside racing legends Mario Andretti and Steve McQueen.